Every organisation is governed by its own moral values and its internal code of ethics. The IPSF has always strongly believed that direct dialogue is the most effective way to address any direct or indirect attempts to harm its efforts and/or its name. 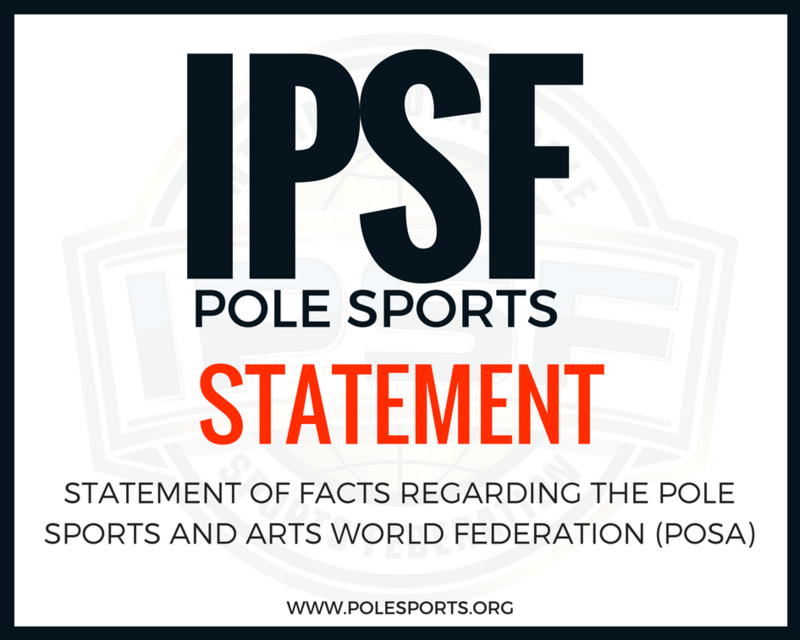 The members of this Organisation believe that the time has come for the IPSF to take a stance to ensure that the pole community is provided with all the facts so that each and every member can form their own opinion, based on these facts. WORLD POLE LAUNCHES ON 1ST MARCH 2018! We have created a video series to help athletes, coaches and enthusiasts understand the code of points. The first in the series demonstrates what the judges are looking for to award points for a spin. Thank you to Tracey Simmonds! 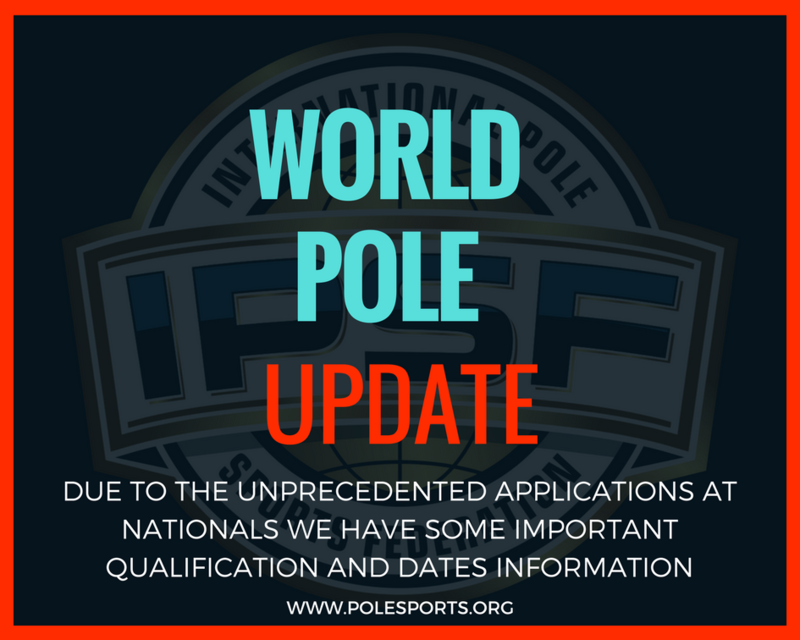 Due to the unprecedented success of all of the IPSF National Competitions, we have been overwhelmed by the number of applications expected this year for the World Pole Championships 2018. Many competitions have doubled (and even tripled) in participation. With this in mind, we would like to announce some changes to the qualifying criteria and the dates for the Worlds, in order to help us manage the number of Elite athletes attending this event. NEW SEASON - NEW COURSES! After a successful meeting with the International Olympic Committee, many exciting new changes will be implemented to facilitate the advancement of our sport and new disciplines. 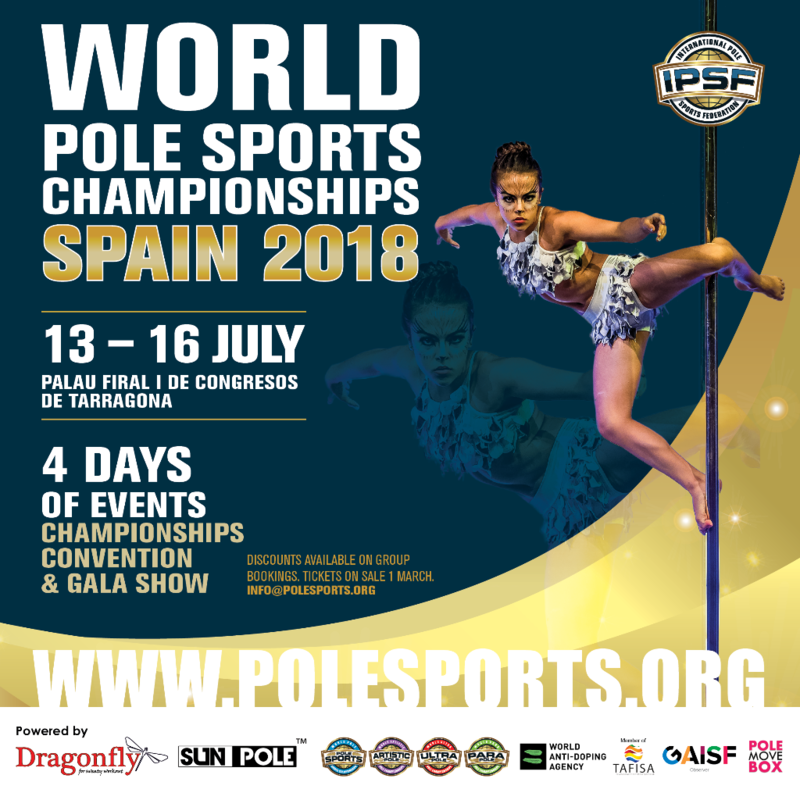 It is an exciting time to be part of POLE - come and join the IPSF as a federation, competition, athlete, coach, instructor or volunteer. Marketing Chair - Head up the marketing team and help to promote Pole! Copyright © 2017 International Pole Sports Federation, All rights reserved.